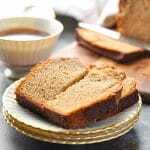 Easy Amish friendship bread laced with cinnamon and sugar for a sweet breakfast, snack or dessert that pairs perfectly with a warm cup of coffee. 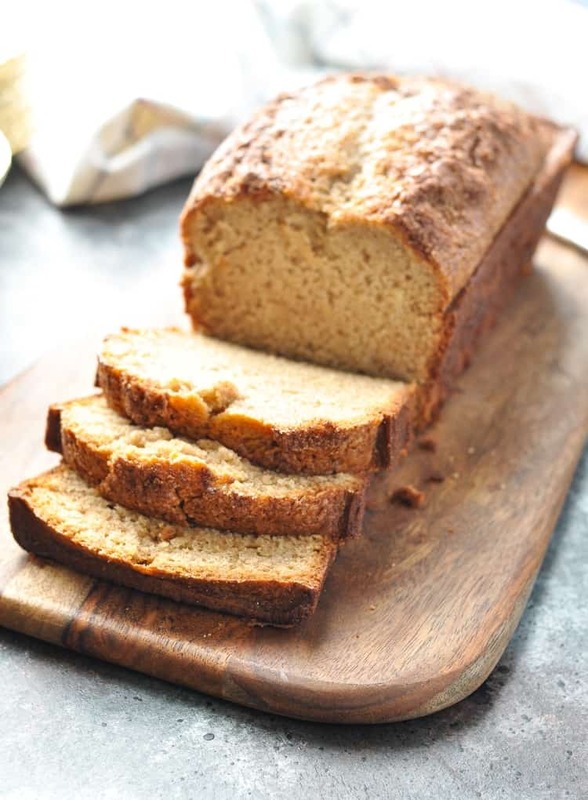 It’s one of the most delicious quick breads that you will ever taste, and you’ve just GOT to share it with friends! 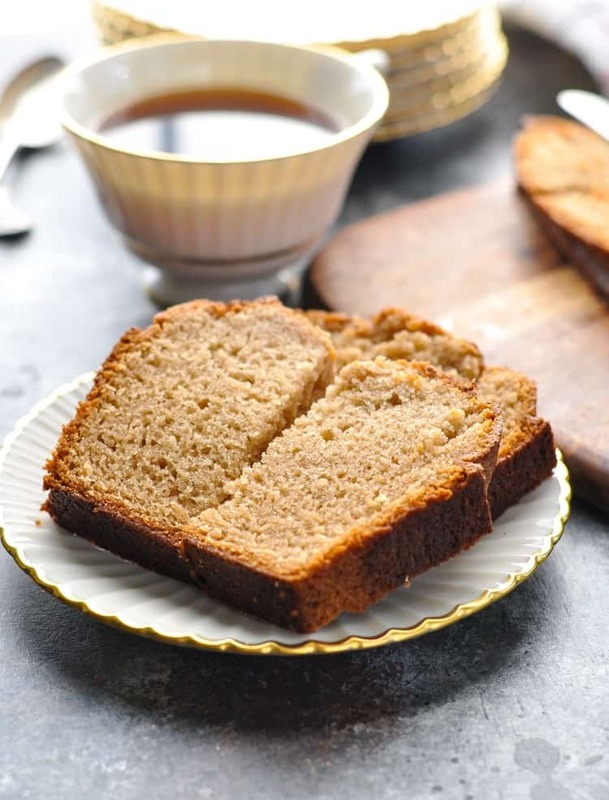 This easy Amish Friendship Bread is laced with notes of cinnamon and sugar for a sweet breakfast, snack or dessert that pairs perfectly with a warm cup of coffee. 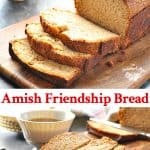 Have you guys heard about Amish Friendship Bread before? I recently tried it for the first time when my friend Jackie brought me some of her bread (along with a bag of the starter), and I was hooked. I just had to share this with all of you! After all, you’re my friends, right?! 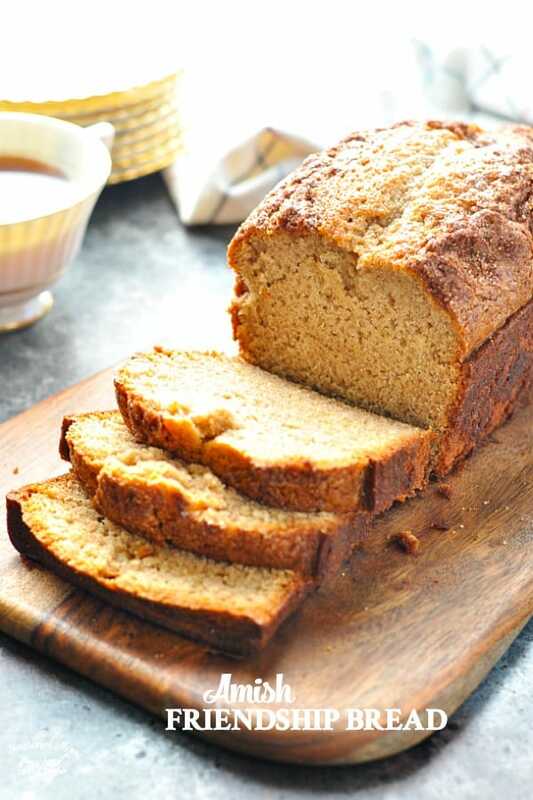 Before we get into the details of exactly what Amish Friendship Bread is, let me just say that this is one of the best quick breads that I’ve ever made! 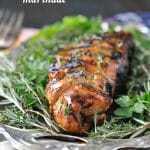 It’s so moist, so rich in flavor, and so warmly spiced for the season. Thanks to a cinnamon-sugar topping, you get a great sweet crust on the top and a fluffy, tender inside. You’re seriously going to love it! 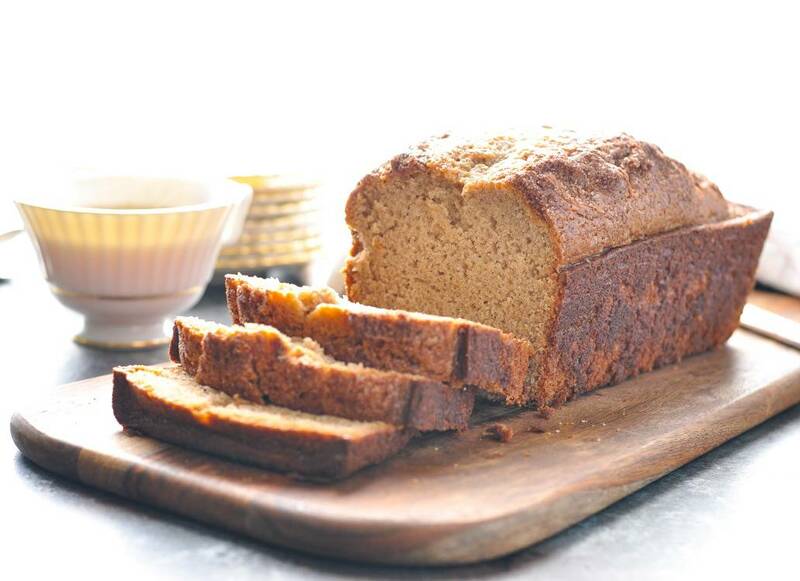 This Amish Friendship Bread is so good, in fact, that it earned a spot in the breadbasket on our Thanksgiving table. My kids were definitely happy about that! So here’s the deal with Amish Friendship Bread: each batch begins with a starter (made with flour, yeast, sugar, and milk). You’re supposed to share the starter with 3 friends every time you prepare a batch of the bread. Those friends then make their own bread, and share the starter with 3 more friends. You get the idea — it’s basically like the bread version of an old-school chain letter! The recipe (and starter) is passed along like a chain from one friend to the next. But don’t worry! 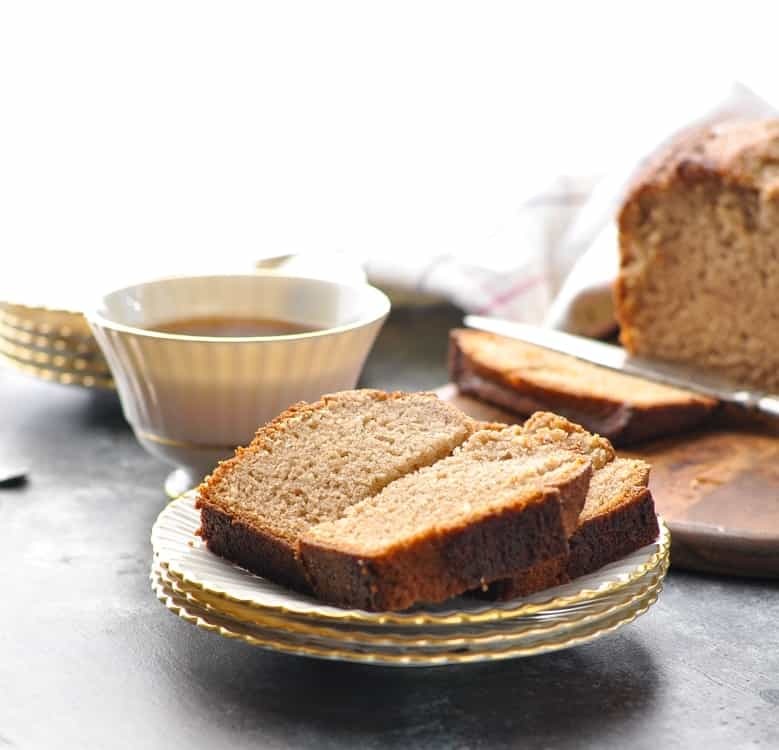 You don’t have to wait for a friend to give you a batch of her starter in order to be able to prepare this Amish Friendship Bread! My friend Jackie gave me my first batch of starter and the bread recipe to go with it, but I have also included the instructions for making your own starter here. Now you can get the chain going! I have included the recipe and instructions in this printable PDF so that you can share it with all of your friends! Here’s a quick look at the process for making the Amish Friendship Bread, which is incredibly EASY! Yes, it takes 10 days, but you don’t have to do much other than squish your bag around and wait during that 10-day period. It’s a fun activity for the kids to get involved with, and it’s a great way to share some love and baked goods with friends this holiday season! Don’t forget that you can print out a full set of instructions with the recipe HERE. Do NOT use any metal spoons or bowls when mixing. Do NOT refrigerate the starter. If air gets into the bag, let it out. It’s normal for the starter to rise, bubble and ferment. Day 1: Do nothing. This is the date that you receive the bag of starter (or the date that you make your own batch of starter). Squish and mush the bag. Day 2: Squish and mush the bag. Day 3: Squish and mush the bag. Day 4: Squish and mush the bag. Day 5: Squish and mush the bag. Day 6: Add to the bag – 1 CUP OF FLOUR, 1 CUP OF SUGAR, and 1 CUP OF MILK. Squish and mush the bag. Day 7: Squish and mush the bag. Day 8: Squish and mush the bag. Day 9: Squish and mush the bag. Preheat oven to 325F/160C. Spray two large loaf pans with cooking spray and set aside. After adding the additional flour, sugar, and milk to the starter and dividing the starter into separate bags (as instructed above), you should have some starter batter still left in your large bowl. Add all of the remaining ingredients to the starter batter in the large bowl (eggs through pudding mix). Divide the batter evenly among the two prepared loaf pans. In a small bowl, combine ¼ cup sugar and 1 teaspoon of cinnamon. Sprinkle the top of each loaf with the cinnamon-sugar mixture. Bake in the 325F/160C oven for about 1 hour, or until a toothpick inserted in the center comes out clean. Cool on a wire rack and then remove bread from pans. If you keep a starter bag for yourself, you can repeat the baking process every 10 days. 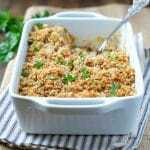 In a small bowl, combine ¼ cup of warm water and 1 packet (2 ¼ teaspoons) of dry active yeast. 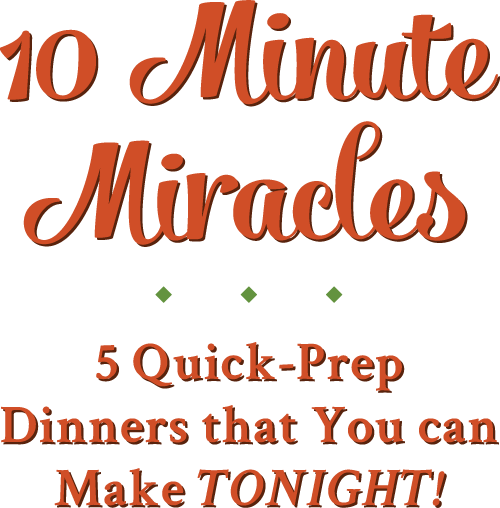 Set aside until bubbly, 5-10 minutes. In a large non-metal bowl mix together 1 cup of all-purpose flour and 1 cup of white granulated sugar. Stir in 1 cup of milk and the yeast mixture. Cover loosely and leave on the countertop at room temperature until bubbly. Place starter in a large (gallon size) Ziploc bag. Seal bag and squish, squash, and mush until well combined. Let stand at room temperature overnight. The day that you prepare the starter is DAY 1. Proceed with 10-Day Baking Schedule as outlined above. Thank you so much for posting this today. The instructions are crystal clear and I can’t wait to make my starter tonight. I’ve never heard of this. It sounds like so much fun and delicious! I have a sourdough starter, but this one is different in that you keep it from air and add milk. Maybe I’ll have to start a new one and see how it compares. Never heard of adding pudding mix to bread either, I bet it tastes fantastic! 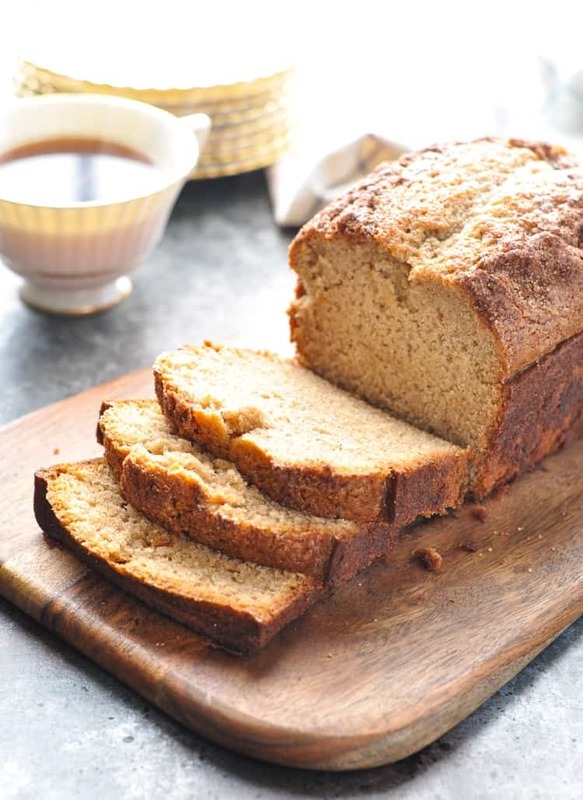 This looks SO good- I’ve always loved Amish friendship bread, and I’m so glad I’ve finally found a recipe that looks and sounds like it will live up to my memories! I have a question! If I mix up the ingredients directly under the ingredients section, do I bake right away like a normal bread or do I have to do the “squish the bag” thing for 10 days and then bake? My 27 yr. old insisted I find the recipe for AFB (it’s been around our family a long time…and earned it’s own nickname.) I managed to dig out the tattered sheet of paper and get the starter going for baking prior to the holiday. My recipe is identical, and I thank you for posting this, because that sheet of paper isn’t gonna last much longer, so now it’s pinned!! One variation…half my family love the cinnamon spice, but the rest insist on chocolate. If interested, you can substitute chocolate pudding and cocoa, and throw in a cup of chocolate chips. Better than chocolate cake!! I also make the chocolate version of amish bread! Everyone begs me to make it more than I do!! That sounds like HEAVEN! 🙂 Can’t go wrong with chocolate! 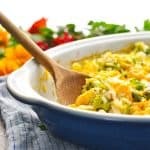 This recipe would definitely win some friends! 😜 I’m going to have to make a gluten free version! Did you ever make this gf? I would love to know how and what the results were! Do you refrigerate your starter after the squish and mash each day? 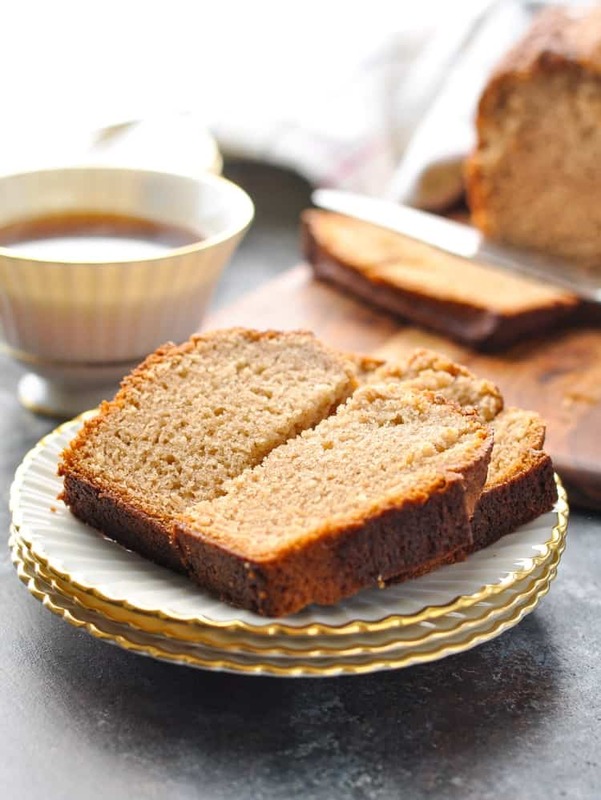 I’ve never heard of Amish friendship bread before but it sounds delicious especially this cinnamon version. Looking forward to trying it! Hi. Received some starter from a friend. 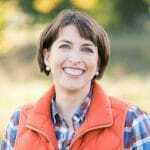 Can I skip eggs and use a substitute? Another alternative would be applesauce. I would use a total of 3/4 cup applesauce to replace the 3 eggs. Hope that helps! At the end of the 10-day counter sitting and after the final feeding I freeze my starter in four individual one cup freezer bags. just won a blue ribbon for quick bread at our state fair using a bag of frozen starter which I let warm up to room temperature and bubble a bit for a day. 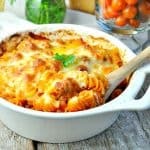 This recipe is awesome. How long can I leave the yeast starter out before I need to throw it out and make a new batch? I have quite a lot of starter and wonder if you could tell me the amount of starter to use in this bread? Is it one cup, one and a half cup, or maybe 2 cups. I have given away so much, can’t find more people to give to, so on 10th day I to make several things, cookies, cinnamon rolls, bread, etc. Thanks in advance for your help. Hey, Linda! I’m so sorry, but I honestly have no idea. I never measured the amount of starter before preparing the bread. Sorry I can’t be more helpful in that regard! A question: can I use coconut or almond milk? Hah! I know, it’s hard to wait! 🙂 Yes, you can use a non-dairy milk of your choice. it might just be a southern thing but i also substitue oil with mincemeat, which is our family’s favorite. I like that idea, Marty! Myself and a friend both made this and we were both very disappointed in the final result. She is a very seasoned baker and knew when she put it in the over that something was missing. I too thought it looked too thick when I placed it in the oven! She called her’s an Amish “Brick”, yet it wasn’t fully cooked in the center. Mine was great on the outer edges, but the middle also didn’t cook properly. I googled this recipe and EVERY other one that I found has you add 1 cup of milk to the ingredients when mixing to bake the bread!! (And all the other ingredients were EXACTLY the same!! ) I don’t think the twenty or so other recipes are wrong! Giving this a second try with the 1 cup of milk added! Only on day 6 and on day 10 Before dividing the batter. Milk is not listed with the ingredients along with the eggs, oil, etc. before baking. Thank you! I look forward to my next batch because the flavour was great!! i was just wondering on the 10th day when you mix all the ingredients together is it by hand? Or at that point can you use a hand mixer. The beaters on the hand mixer are metal. So I’m guessing probably not. Is that correct?